It’s always so inspiring to hear about people going vegan of whom one would have never thought possible. So, when I heard the story about David Carter, the National Football League defensive lineman, it instantly got my intention. His constant struggle to gain weight by consuming animal-based foods and dairy products caused him some serious health issues. In particular, he really suffered from tendinitis which had become so worse that he was hardly able to lift himself out of the bathtub. That’s when he started to reconsider his diet habits and after watching a documentary about the vegan lifestyle he made the choice to go vegan and never looked back again. Read on to learn more about his awesome transition to his life as a vegan. “Professional athletes don’t get to the top by accident. It takes superhuman levels of time, dedication, and focus—and that includes paying attention to what they put in their bellies. 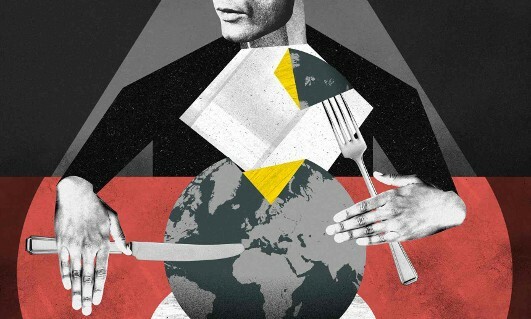 In this series, GQ takes a look at what pro athletes in different sports eat on a daily basis to perform at their best. 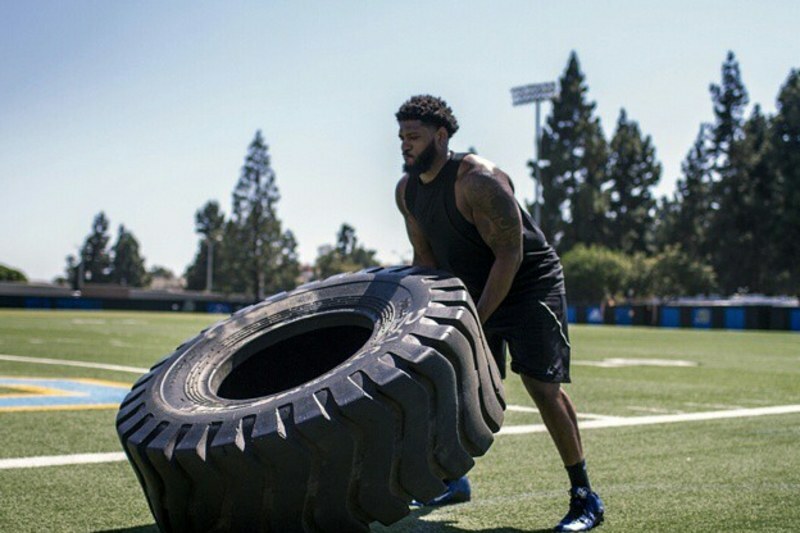 Here’s a look at the vegan diet of David Carter, a 300-pound NFL defensive lineman. Back in 2014, David Carter weighed 285 pounds and was working his way back up to 300. He had just signed with the Oakland Raiders, and was adding ice cream shakes and entire gallons of milk to his diet. But he was also in pain. His shoulder hurt, he was battling tendonitis, and three fingers on his hand were numb. He chalked it up to part of being a professional football player, specifically a bruising defensive lineman in the NFL. Maintaining weight is important though, since defensive linemen are weighed regularly and no one wants to look puny at 250 pounds. 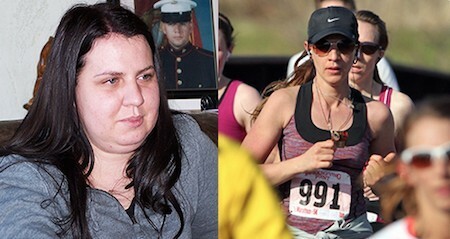 In the first month after going vegan, Carter lost 40 pounds. But he was running farther and faster, lifting heavier weight, and within two months all the pain in his joints had disappeared. Carter’s been able to get back up to 300 pounds, and is leaner and faster now than when he ate animals and their byproducts. And as of a few weeks ago, he’s officially playing for the Chicago Bears. It takes extra effort to maintain that kind of weight with a vegan diet, specifically 10,000 calories worth of effort, which works out to five meals a day plus four 20-ounce shakes between them. It means that Carter is eating every two hours, and eating hard. Those smoothies aren’t even a break. Instead of dairy, Carter uses cannellini beans and sunflower seeds to give them protein and body—even brightened up with fruit it’s a feat to choke them down. He starts each morning with a huge batch of the bean smoothies in his Vitamix blender (enough to total 100 grams of protein) which he divvies up for the course of the day. And on top of that, there’s grazing on homemade, probiotic sauerkraut throughout the day. Read the full article at gq.com! NAMASTE TO MY DIVINE BROTHERS & DIVINE SISTERS OF PLANET EARTH. I AM MAXIMUS. THIS IS MY UNIVERSAL CODE NAME. AWARDED BY DIVINE MASTERS OF THIS DIMENSION & HIGHER DIMENSION. I AM FROM PLANET EARTH IN THIS LIFE TIME. I AM HERE TO EXECUTE DIVINE PLAN – YOUTH PROJECT. THIS PROJECT IS GIVEN TO ME BY GUIDING MASTER (MY INNER GURU). I AM GRATITUDE TO DPYP (DIVINE PLAN – YOUTH PROJECT) & GUIDING MASTER. THIS PROJECT AIM IS TO MOTIVATE THE YOUTH OF PLANET EARTH TO ACCEPT THEY LIFE AS IT IS AND FOLLOW THE PRINCIPLES OF DIVINE SPIRITUALISM AND DIVINE MEDITATION. THE YOUTH OF THE PLANET EARTH OF TODAY WILL BECOME THE GOD’S OF TOMORROW. .. …. IF YOU WANT TO SUPPORT ME UNCONDITIONALLY WITH LOVE, TRUST AND FAITH PLEASE CLICK THE LINK GIVEN BELOW AND SEND ME A FRIEND REQUEST. WITH YOUR FREE WILL NO FORCING. .. …. THANK YOU AND ALL THE VERY BEST. .. ….
! !DIVINE LOVE DIVINE HAPPINESS DIVINE BLISS! !